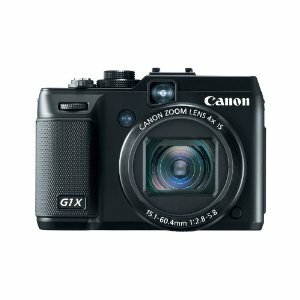 CNET UK has tested a new top of the line digital camera from Canon called Canon PowerShot G1 X. The Canon camera with a nice vari-angle LCD screen, over 14 megapixels and ability to record high-end HD video. CNET UK ends up giving the G1 X an overall score of 5 out of 5 possible stars. That means it gets a perfect score! The reviewer enjoys aspects such as excellent image quality, very good build quality and great hardware functions. If there is something to nit pick about this camera there is the long macro distance and the microphone could be of higher quality. Overall Canon has once again made a superb camera that is hard to beat for the other camera makers like Nikon and Panasonic. Read the full review of the Canon PowerShot G1 X digital camera with vari-angle LCD here.